Whether your commute involves merging onto the highway each morning or crawling through red lights on your way home, the drive is rarely anyone's favorite part of the workweek. But with a good car, your commute can be a vacation. Toyota cars and SUVs make great commuter cars. Affordable, highly fuel efficient, and able to stand up to the daily grind with ease, Toyota models will serve you faithfully for years. If it's time for you to move onto a new car, check out the Toyota line-up available at our dealership in Braintree, MA. Toyota has a reputation for exceptional fuel economy almost as strong as their reputation for reliability. They also offer an extensive hybrid line-up. When you need something that won't ding your wallet at the gas station-whether that's something small for just yourself or an SUV that can swing by the school to pick up the kids too-there is a fuel-efficient Toyota model for you. Toyota Entune® infotainment can help you make calls, get directions with traffic updates, find music, and connect to your favorite mobile apps through the touchscreen, voice command, or with steering-wheel mounted controls. Dynamic radar cruise control will take a lot of the fatigue out of long drives by keeping your Toyota at a consistent speed and a consistent following distance from the car in front of you, automatically slowing down or speeding up to match the flow of traffic at highway speeds. Lane Departure Alert with Steering Assist notices when your vehicle begins to drift from its lane, and will alert you and nudge you back within the lines. The comfortable seat design in our new Toyota line-up includes sculpted seatback cutouts to give extra knee and legroom to rear passengers, multiple adjustment settings including lumbar support, and heating for cold New England mornings. 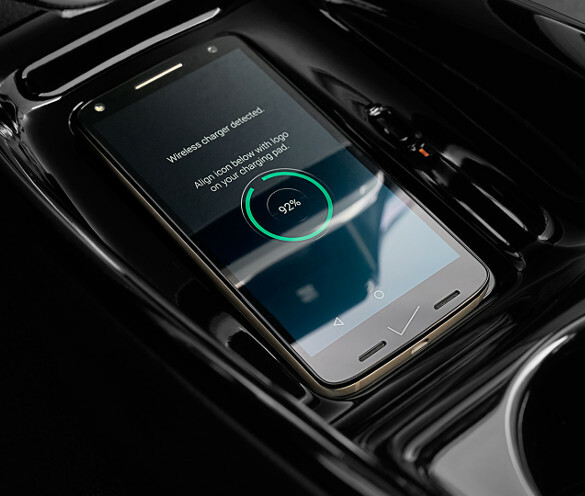 Wireless charging lets you keep your phone charged and ready for when you arrive at your destination without a messy tangle of cords that can be annoying and dangerously distracting to deal with while driving. On hybrid models, the Energy Monitor provides real-time updates on your energy consumption and regeneration. Toyota models are well known for their longevity. Buy a Toyota, and you will have a vehicle that will treat you well for the next decade or more. Interested in purchasing a new Toyota model for your commute? Browse the new Toyota inventory at Toyota of Braintree, then contact our team online or by calling (781) 848-9300.